MANILA, Philippines (AP) — The Philippine president says he has no intention of going into war over territorial feuds but will order the navy to fire if other countries extract resources from waters within his country’s exclusive economic zone. President Rodrigo Duterte told a news conference late Friday that the Philippines will continue talks with China over disputed South China Sea territories. He also stressed the Philippines’ sovereign rights over Benham Rise, a vast offshore frontier off his country’s northeast. Duterte was referring to the country’s 200-nautical mile exclusive economic zone, a stretch of sea where coastal states have been granted exclusive rights to exploit natural resources under a 1982 U.N. treaty. Foreign ships, however, could pass through those waters but could not fish or extract oil and gas from the under the seabed. There were no immediate comments from U.S. or Chinese embassy officials. Duterte recently ordered an end to all foreign scientific research missions in Benham, which his government has renamed Philippine Rise, and asked the navy and air force to patrol the waters. Some believe the waters could be harboring undersea gas and oil deposits aside from its rich fishing grounds. Benham Rise, which faces the Pacific Ocean, is approximately 24 million hectares (59 million acres) in size and encompasses the Philippines’ exclusive economic zone and continental shelf further out in the ocean. 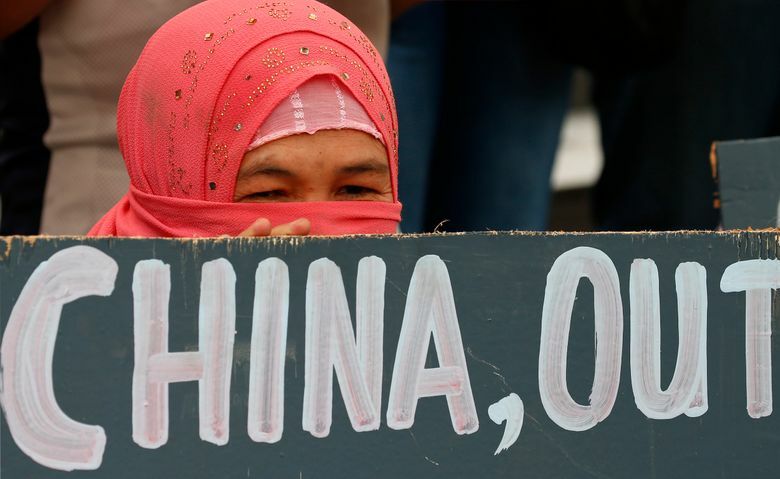 Philippine security officials raised concerns about intrusions when a Chinese ship was monitored crisscrossing the waters early last year, drawing public attention to the territory. Presidential spokesman Harry Roque Jr. said Tuesday that all foreign scientific groups, including from China, Japan, South Korea and the United States, have concluded their research work in the waters and Duterte wanted future research missions to be done by Filipinos. 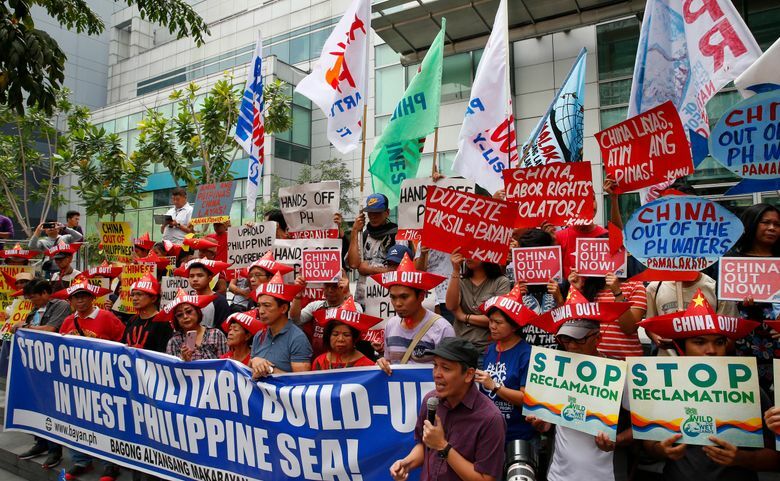 Critics have questioned why the Duterte administration allowed a group from China to undertake scientific research in the waters given Manila’s long-simmering territorial conflict with Beijing in the South China Sea. 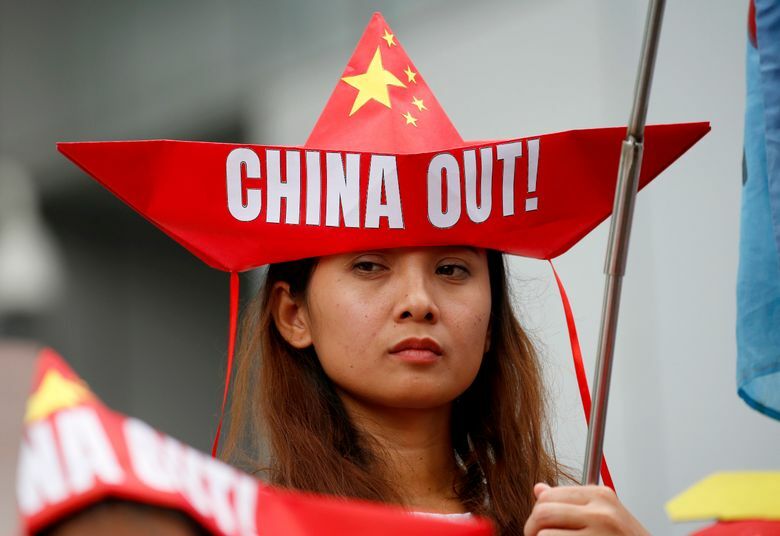 China has also defied and refuses to comply with an international arbitration ruling that invalidated its claim in virtually all of the South China Sea on historical grounds. 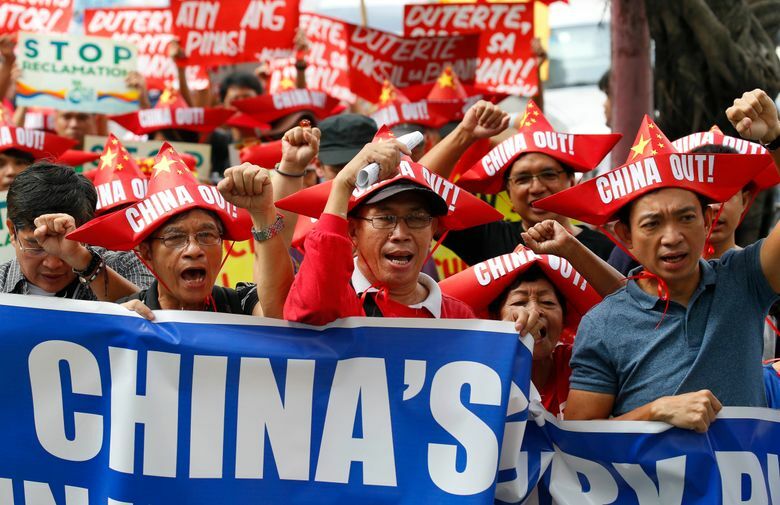 Dozens of left-wing activists protested Saturday in front of the Chinese consulate in metropolitan Manila, some wearing red boat-shaped paper hats with the Chinese flag’s markings and the message: “China out.” They expressed alarm over China’s installation of defense and military equipment on its artificial islands in the South China Sea’s Spratly archipelago. “If you can claim a whole of an ocean, do not mess up with me with my economic zone here,” Duterte said, apparently referring to China. 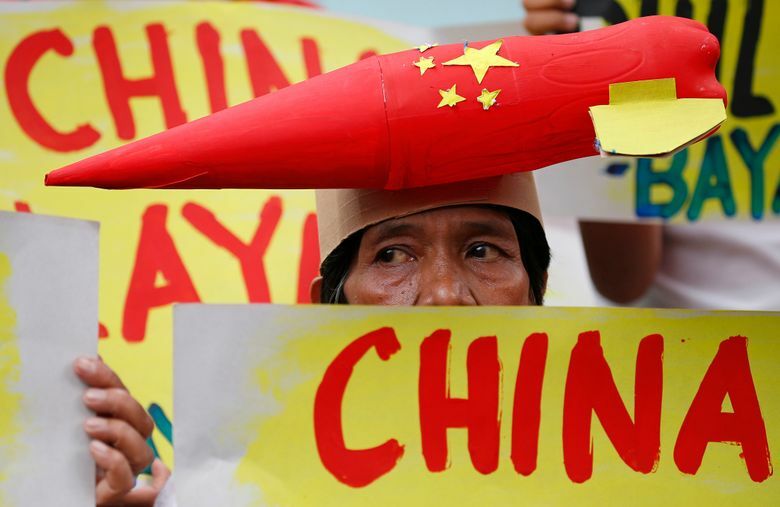 Duterte, who has revived ties and sought Chinese investments and infrastructure funding after rising to power in 2016, said Chinese officials have assured him China will no longer undertake constructions in the Spratlys. “I will hold China to that commitment and we will remain loyal in our commitments,” he said. Associated Press photojournalist Bullit Marquez contributed to this report.